It’s not exactly breaking news that we humans waste a lot of our food, but a new study by the National Resources Defense Council puts a striking figure on the actual statistics, suggesting that we waste a whopping 40% of all food produced. With the average American discarding 33 lbs of food each month, MSNBC calculates that each person is responsible for throwing out an adult gorilla’s weight in food each year. That’s a lot of food. In the present economic climate, The NDRC presents a pretty baffling yet plausible statistic. 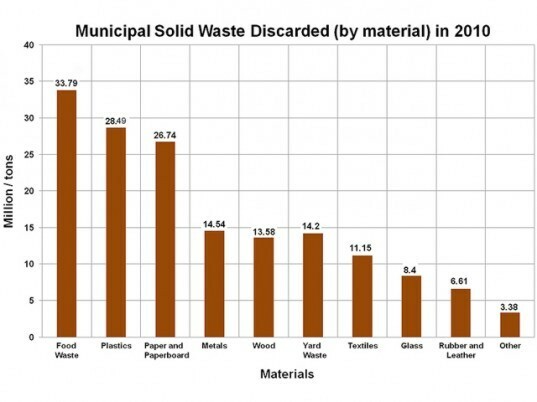 The EPA found in 2010 that food waste was the single greatest source of landfill-bound municipal waste, totaling 33.79 million tons. In that same year, Feeding America, a National Non-Profit food assistance program served 37 million Americans, including around 14 million children and nearly 3 million seniors. Even with big agriculture turning out large quantities of modified crops, the cost of fresh, nutritious produce remains an issue. As food deserts persist in many low-income and rural areas, produce often goes to waste, in some cases never even reaching grocery store shelves. Patrick Woodall, research director and senior policy advocate for Food and Water Watch told MSNBC at the Reuters Summit: “Even in 2008, when there were hunger riots around the world, there was enough food to feed people, it was just too expensive.” Outside of the richer nations, in areas of energy poverty, food goes to waste due to lack of proper refrigeration. But there are many simple steps that can be taken to lower this extraordinary food wastage. Composting can nourish soil while saving scraps from landfill. Restaurants can serve smaller portions — the Go Halfsies model offers half-sized portions while donating the other half to food banks. Initiatives are at work to find methods to prolong the life of perishable goods such as milk in Africa. 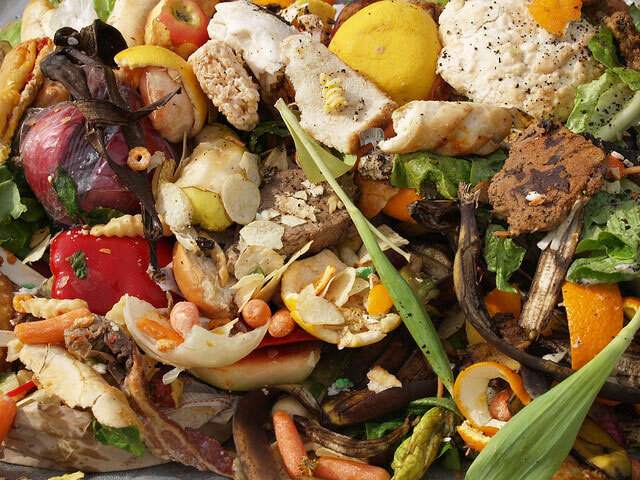 The EPA and USDA study provides a hierarchy for how to utilize food wastage, with landfill at the the bottom of the triangle, while there are many simple steps we can take in our own homes to do what we’ve always known to do, and finish every last scrap of food. It's not exactly breaking news that we humans waste a lot of our food, but a new study by the National Resources Defense Council puts a striking figure on the actual statistics, suggesting that we waste a whopping 40% of all food produced. With the average American discarding 33 lbs of food each month, MSNBC calculates that each person is responsible for throwing out an adult gorilla's weight in food each year. That's a lot of food.